You need to take your child to the dentist but they are too scared. No matter how much reassurance you give them, they still come up with the worst scenarios in their heads. Horror authors could learn a thing or two from these kids .Still, it’s been too long and you’re trying to figure out how to make this whole ordeal a lot less problematic. There’s an answer: sedation. If you live in the Mansfield, Ohio area and bring your child to Dr. Russell Kiser, he can sedate them and work on their teeth with no problems at all. He’s a endodontist, which means he is especially knowledgeable about the roots of the teeth and what goes on underneath. That makes him an excellent person to deal with root canals, plus he does general dentistry. You may have questions about sedation dentistry – it’s not a one-size, slip-on-a-mask-and-fall-asleep deal. There are levels to it, with some being awake and relaxed the whole time while others get completely anesthetized and sleep through the whole thing. Then there’s the middle areas, with varying levels of consciousness/awareness/memory. Dr. Kiser will work with you. How’s it applied? Your child can inhale it, take it orally via either a pill that’s in the Valium family, take it intravenously, or be given general anesthesia. 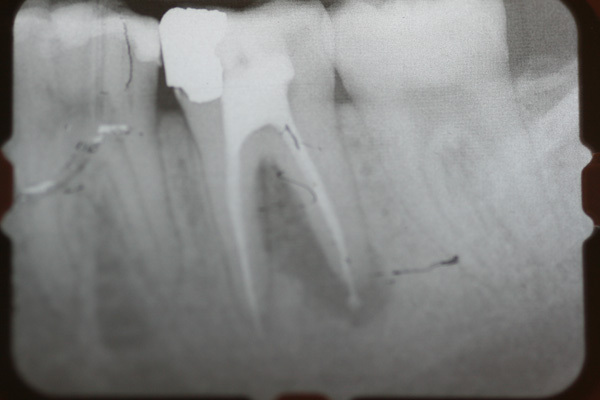 Only a select amount of dentists can do deep anesthesia. An endodontist can help you retain your teeth, perhaps for a lifetime, by dealing with the causes of root canal problems. Pain presents itself in many different ways in the teeth, jaws, face, head or neck. Sometimes dental pain is easy to localize. Other times, it may be difficult to diagnose and locate the dental pain. Knowing how to assess where or what tooth the pain is radiating from sometimes requires careful questioning and assessment. An endodontist is skilled and trained to recognize many of the issues that cause pain and to either treat or make recommendations for care. "Dr. Kiser is very informative and gives you options, I am very pleased with this dental office."